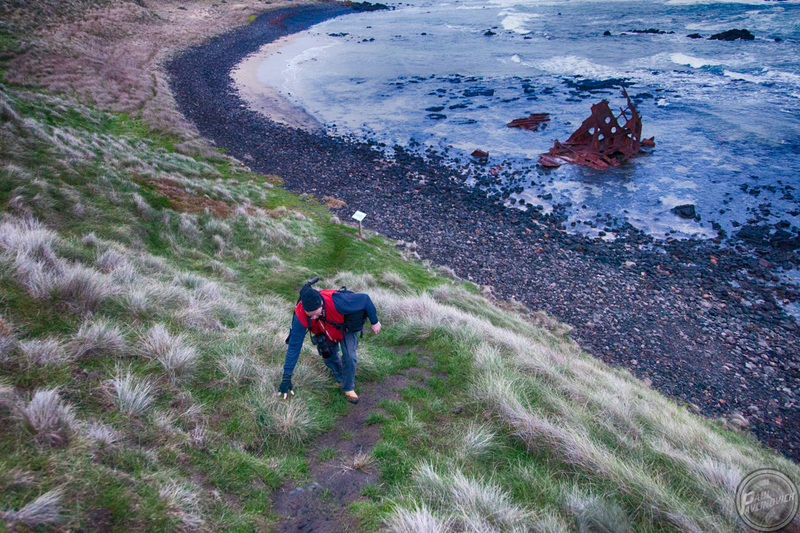 On a stormy night on the coast of Phillip Island in Westernport Bay The Speke ran aground and broke up over days. Built in 1891, The Speke was an all steel ship. 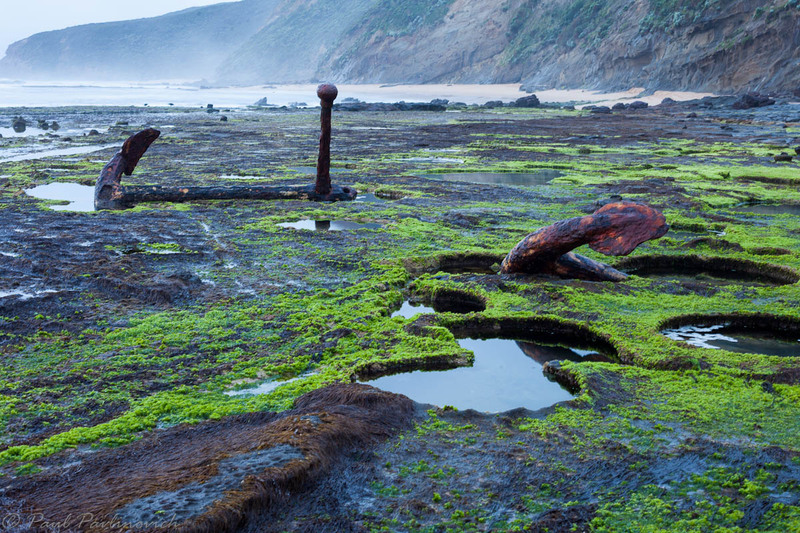 After running aground she was salvaged by Phillip Island locals where parts of her can be found in local homes and cottages and the island's museum. There is still a significant chunk of the wreck right on the shore and is of interest for photographers. 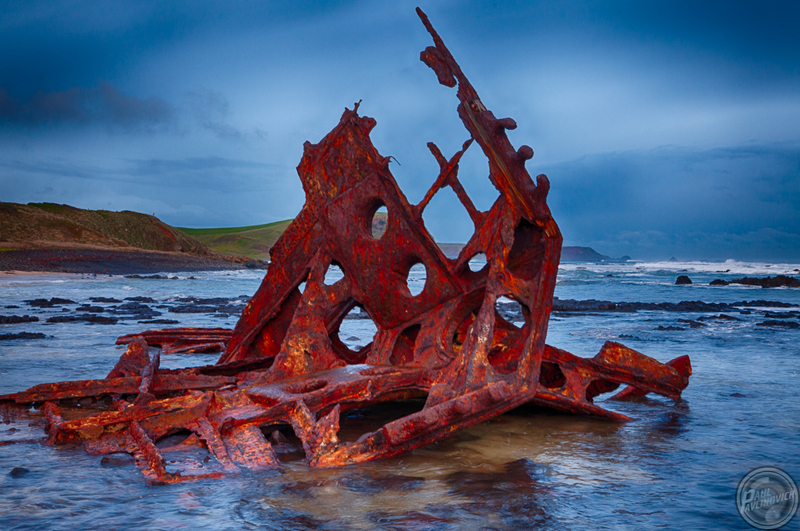 The largest pieces sit in Kitty Miller Bay on Phillip Island. I found it difficult to research exactly where the wreck is and how to get to it. It's certainly not immediately obvious and is not visible using satellite view. To help you find it, I've created a Google Map of the wreck and how to get there. Park near the beach stairs and head down them to the beach. Walk along the left hand side of Kitty Miller Bay towards the ocean. About half way along the bay (before the first out jutting) the path takes off up the slope to the cliff top. This part is steep and resembles an animal track more than anything. The surface of the track is basalt and clay so it is fairly easy going but is slippery in places and gathers water. Good boots are not essential but advisable. Once you get to the first cape there is a good vantage point over the bay before continuing along the cliff top to the wreck itself. The descent to the wreck is slippery and challenging so take it easy. 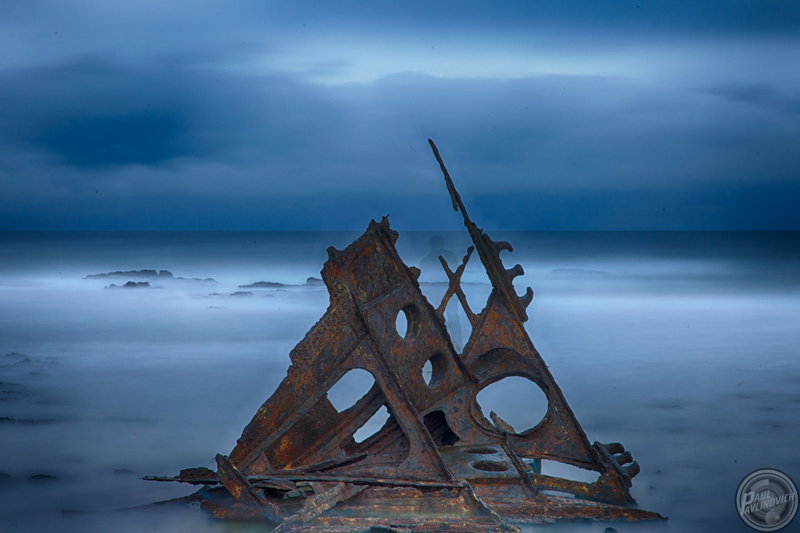 In the right conditions you might even see the ghost on the wreck. Well ok, I made that up but a nice ghostly long exposure with a 10 stop ND filter makes a mist out of the breaking waves. 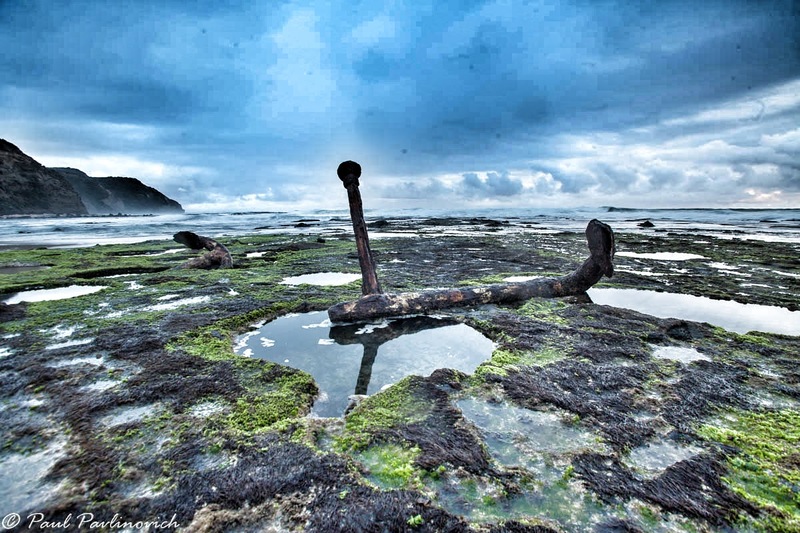 It's easy to see how the ship came to grief where the wreck washed onto the rocks and was gradually beaten to death. A polarising filter is a useful addition to the kit for scenes like this so that your shots can see into the water and capture the detail of the rocks and sea floor. 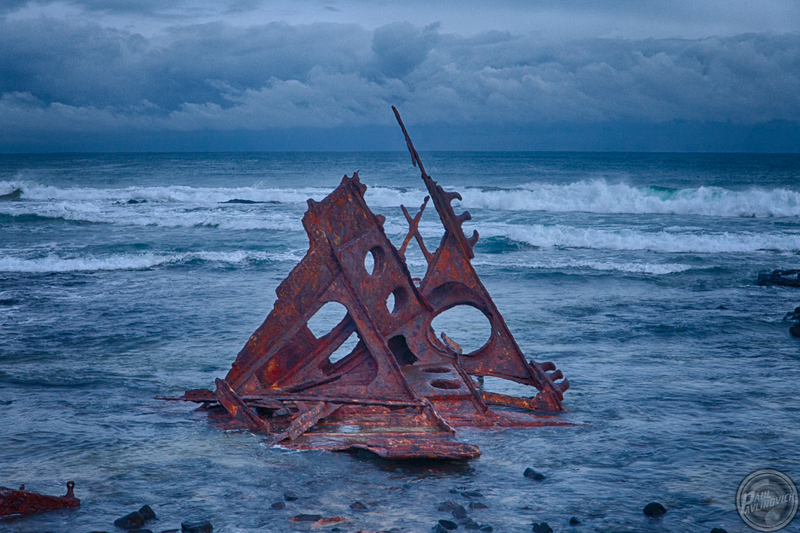 The wreck sits within the rocky bay facing the direct ocean. Once each year I head off somewhere along the coast line of Victoria. I camp out and pursue photography. 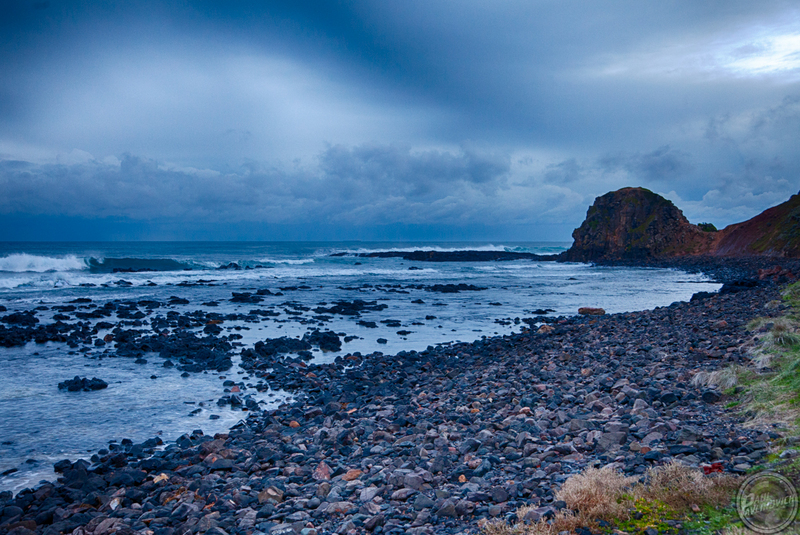 My favourite destination is Victoria's natural wonder the coastline along The Great Ocean Road. Whoever named this road certainly wasn't an idiot. You get everything, curves, hills, beaches, forests, cliffs, small towns, the works. Why do I take this time out of life? Simple really everyone needs to unwind and this is the way I do it. I love the coast and I love photography. Mixing the two, well that's just fun really. There is magic to be found along that simple road. To experience the GOR I'd suggest you really experience it don't just drive along it. Camp. Walk. Live. Enjoy. I love to camp somewhere along the road along the cliff tops. Along most of it camping isn't allowed but there are spots where you can as long as you're not in a motor home or caravan. Mind you if you go easy on the light no-one would ever know you're there and I've not encountered any night patrols. Mostly when people think of the GOR they think of The Twelve Apostles, of which there are only eight still standing. You could go to the concrete monstrosity that is the tourist trap with the thousands of others, or you could go to one of the nearby cliffs for your viewing. I know which I prefer. 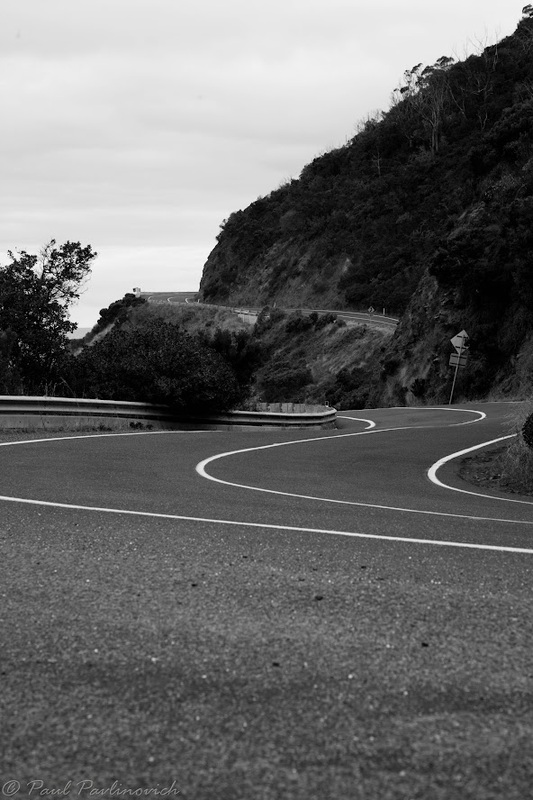 Leave that asphalt road every chance you get. Those dirt roads off towards the cliffs bring you the real coast without the tourists. Be safe the cliffs do collapse from time to time. I've been known to sleep on the beach to get that dawn shot. Just watch your tides and seek local knowledge because many spots are deep under water at normal high tide. It is a truly magic environment that changes every minute of every day. It's not possible to see, experience or feel that let alone capture it unless you're actually there for the entire time. I have some favorite spots like Wreck Beach and the Bay of Islands. Beach forms part of the lower Great Ocean Walk. It's a serious climb. Take only the photographic gear you need, food and water. Watch your tide times, the entire beach is submerged at high tide and those waves are big. Never turn your back on the sea unless you've got a spotter. 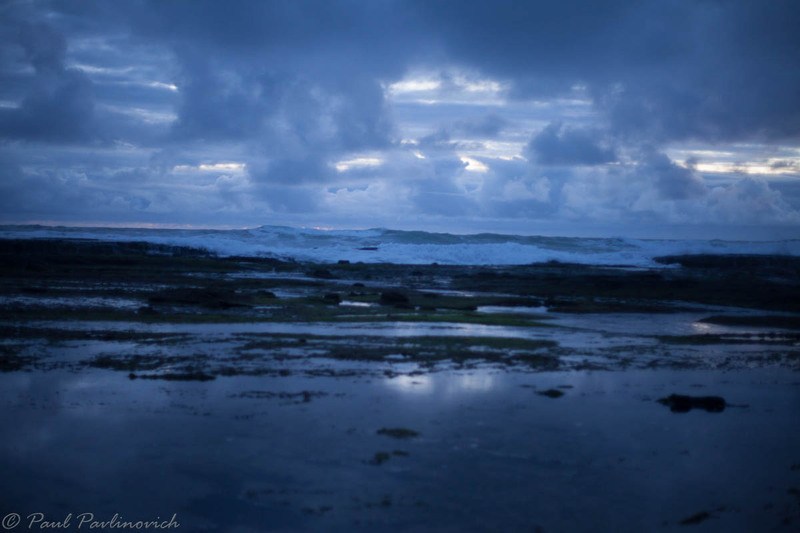 Last time I was there I asked my son to warn me about waves while I photographed on the reef. He dutifully did that and warned me a couple of times so I could keep the gear dry. What he didn't warn me about was the tide coming in. I had to wade back to the beach to the sound of his laughing. Loch Ard Gorge is simply amazing. The scene of the tragic shipwreck. It's like a tropical paradise and it's possible to swim there much of the year as long as the sun is on the shallow water keeping the frigid ocean at bay. Much of the gorge is shallow and there is a wonderful sandy beach and two caves. You cannot enter the caves due to falling bits. Loch Ard is very popular with the tourists. These two were from Brazil and were intent on snapping beach selfies in the water. The group they were with commented on the expense of accomodation along the road and I told them about Princetown. They moved there that night. When you need to shop go inland to Hamilton or scoot over to Geelong or Warrnambool - you'll pay through the nose everywhere else. Port Fairy is fantastic at night. So much history. So well lit. The cheapest places to stay are the community oval at Princetown on the Gellibrand River and the Lady Bay caravan park in Warrnambool. There are spots along the road, some of them secret, some of them well known tourist spots. On the left is "The Grotto" which is frequented by tourists but conveniently there isn't enough parking for the giant coaches. It's worth spending some time here as the pool is different every time I go. The colour changes throughout the day. Shot with a circular polariser to allow me to see into the water and a graduated ND filter to balance the exposure of the bright sky against the rock floor and the pool. The area of the grotto itself is walled off by Parks Victoria to keep our the great unwashed tourista. As a kid I used to swim here and if you went through the grotto with some climbing you could get down to the beach. At times of heavy storm action the tips of the waves crash right into The Grotto causing all the erosion and rounding the rocks around the pond. Like most things on the GOR it's always changing and sooner or later will collapse. Generally speaking I stay at Princetown at the community camp ground. It's got basic facilities and is much cheaper than the tourist places. The other reason for staying at Princetown is the local scenery. 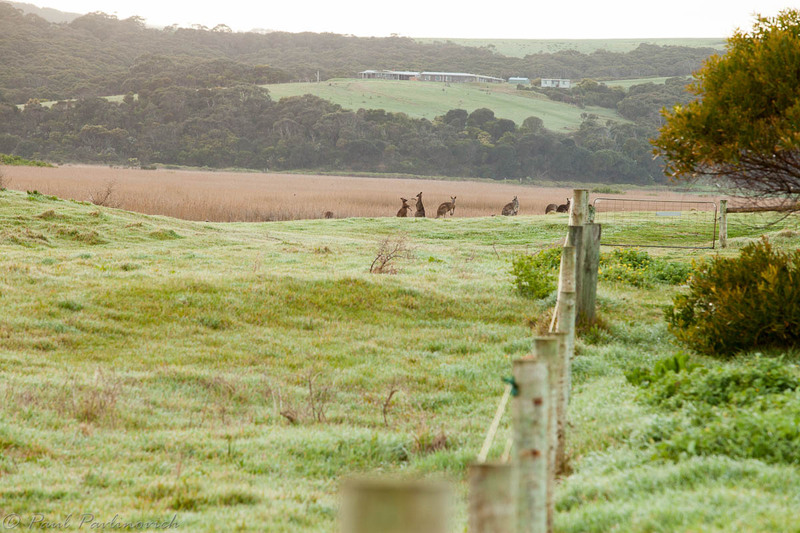 From dawn the kangaroos abound in the adjacent paddock to the estuary of the Gellibrand River. There are often gorgeous mists in this ocean valley in the mornings giving an interesting atmosphere to your images and allowing you to hide the houses on the hills around the park. Be aware you can get flooded in as the bridge in and out is a low causeway. I've had to drive through the water more than once. 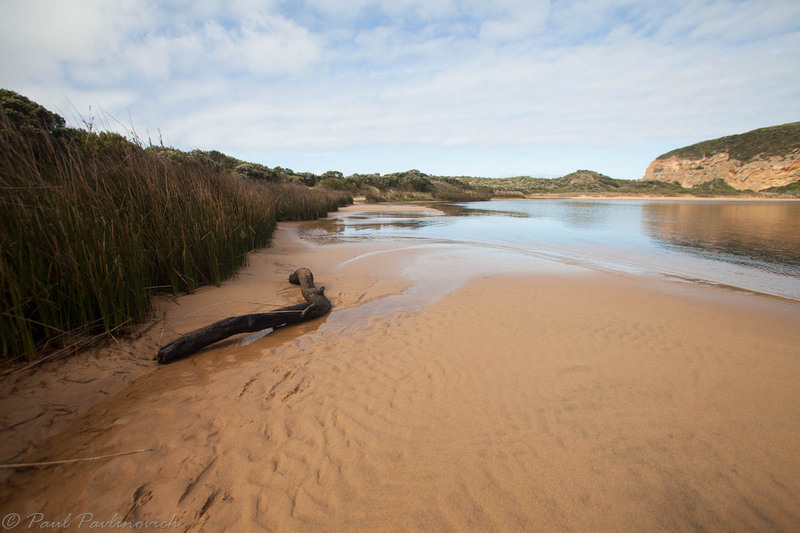 The Gellibrand river meanders through a reed bed and into a wide estuary just before it cuts through the pearly white sand of the beach into the sea. The estuary is salt water and tidal so you can't always walk to the beach unless you want to get your feet wet. You'll see black cormorants various gulls and the occasional eagle in the area. I've seen snakes on a number of occasions so stick to the sandy areas where you'll see them before they see you. Surfers abound along the GOR, you'll find them all along the road. They're generally out early and late so if you want to catch them you'll need to be there when they are. 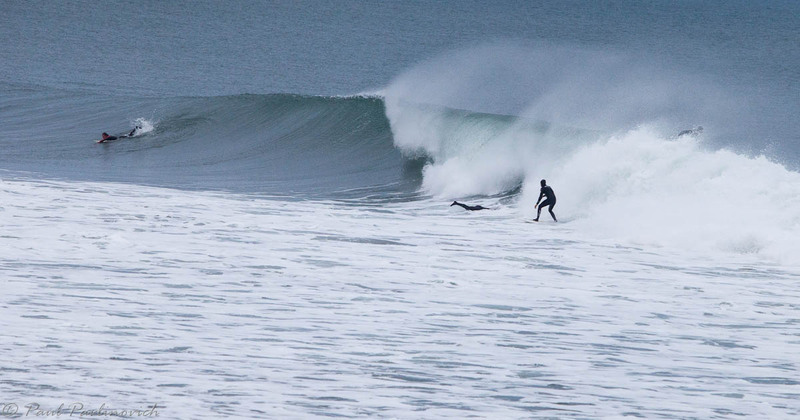 If you want general imagery you could use a 100mm lens but if you want close up surfing action you're going to need something bigger like a 400mm lens. It's nearly always windy so make sure your lens mount on your tripod is sturdy. 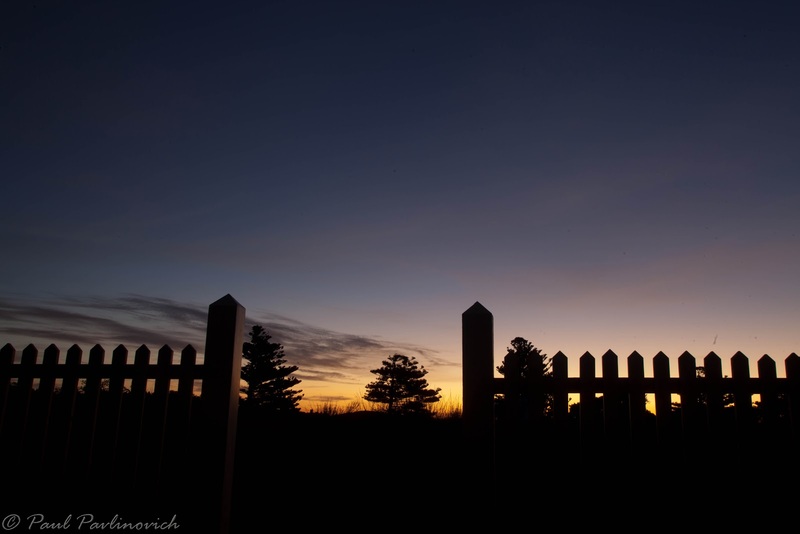 You'll need a fast shutter so high ISO is often necessary in the lower light of the post dawn. 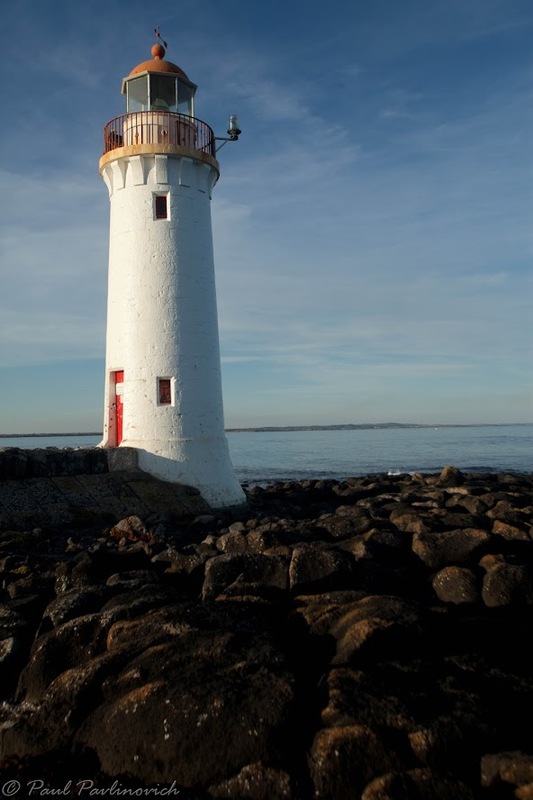 If you're into lighthouses you're up for a treat, there are plenty of them along the road from Cape Otway, Airey's Inlet through Warrnambool, Port Fairy and beyond. Some of them like Airey's Inlet are surrounded by tourists all of the time and it can be challenging to get an angle without the people in shot. You can cheat and use a big stopper ND400 (9/10 stop) filter and a long exposure to get rid of them or you just get creative with your angles. Lighthouses are best photographed in the blue and golden hours near dawn and sunset. Some light houses are open for inspection via tours. It pays to book ahead for these so you know the tour will be running and you'll get a chance to look inside. Airey's Inlet is in that category. Make sure you approach the locals in various places. 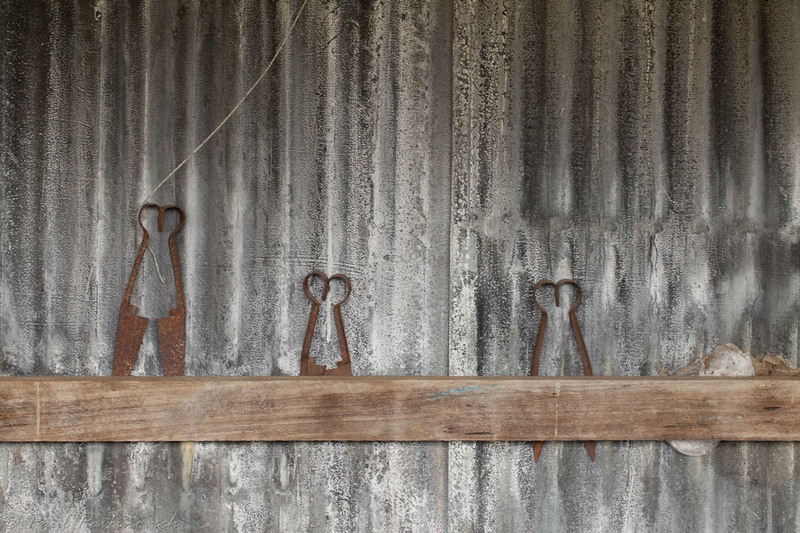 They'll give you information that you could not otherwise find and perhaps grant you access to photograph on their land where you'll find some true examples of Australiana such as these shears on a farm in Bellbrae near Bells Beach. Most of the land along the road is arable farm land generally used for grazing cattle or sheep but in some areas food crops are grown. Never enter property without asking. The owners may not be all that understanding. 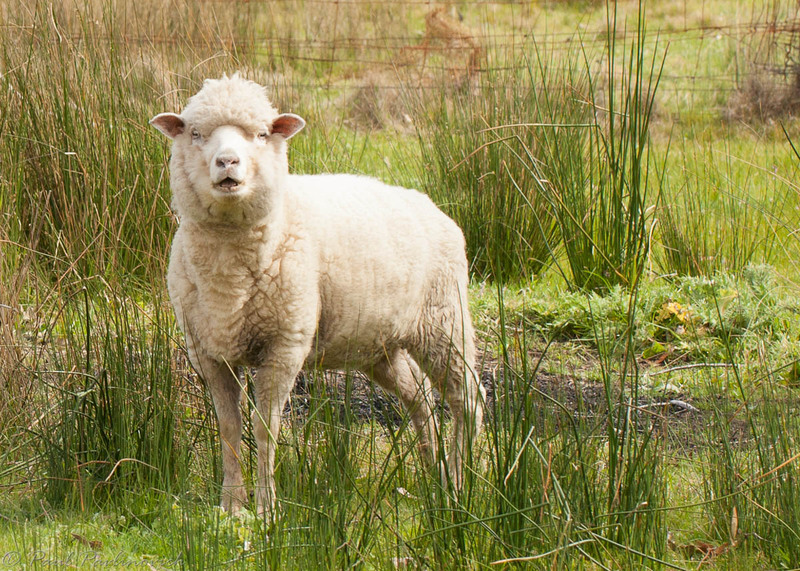 If you do go in never disturb a fence and always close any gates that you open to avoid release of the farm stock or them moving from a grazing paddock to a food crop paddock. You could cost the farmer his entire income for a year if you bugger that one up. A few words of warning, the land scape along the GOR varies widely in climate from rain forest through open beach and open farmland. The temperatures change throughout the day dramatically. It can reach freezing at night even in summer. Salty fog and frosts are not unusual in the cooler months be prepared with layers of clothing when you walk. Should you elect to do day walks along parts of the Great Ocean Walk by all means do but always carry water, food and means of communication. There are emergency markers along the trail. It doesn't hurt to write down the number of the nearest so you can be found if you need help. Australia is an unforgiving mistress, treat her with respect and she will reward you. Disrespect her and she will likely kill you. You'll find the most amazing wildlife along the road. 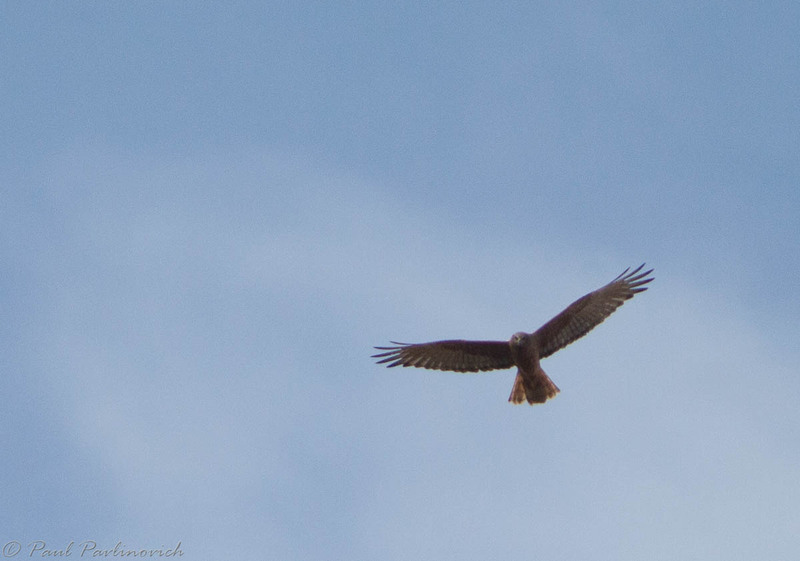 There are eagles and hawks as well as egrets hunting during the day. 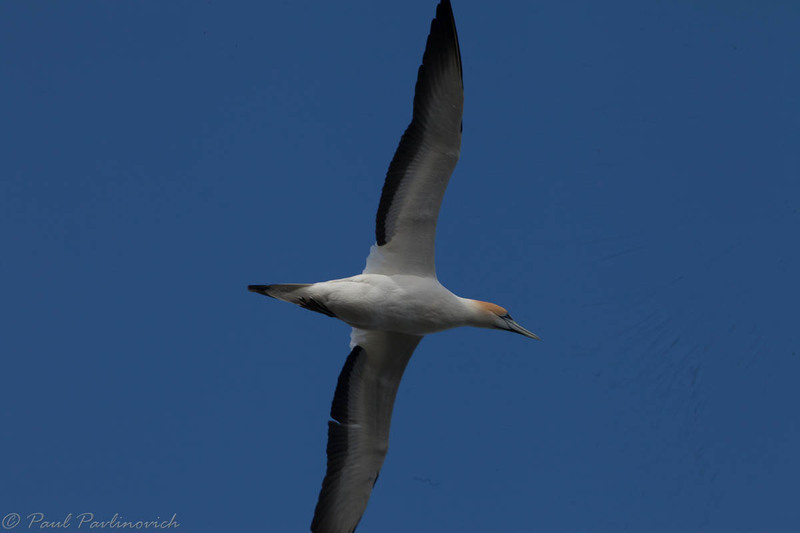 Cormorants, penguins, gulls and plenty of other birds will make an appearance. Kangaroos, wombats, echidnas and other ground animals are everywhere. Take it easy on the roads at night. One big red and your car is totalled. One wombat and it's likely disabled at best, written off at worst. They're basically hairy rocks. Near Princetown is a collective cooperative animal preserve run by volunteers. It's well worth a visit with both native and imported species. Donate if you care to help them keep it going. Abandoned by its owners some years back and now operated by a group of volunteers. The park has had much improvement done to it and the volunteers are reorganising the exhibits as time and money permit to be better for the animals. The animals seem quite healthy and as happy as any animal in a zoo. 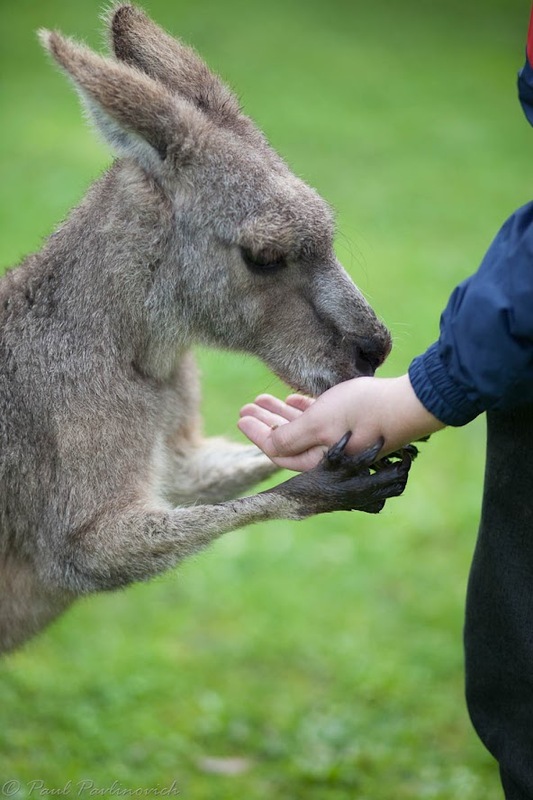 Drop in and visit, you can certainly get up close and personal with many of the animals. Your money goes right back into running the park. They have backpack and farmstay accomodation. Ignore the closed signs they let us in when they were closed. My favourite cities on the GOR are Warrnambool, Port Fairy and Portland. Warnrnambool is a fairly modern large town with all the usual supermarkets and amenities. You've got to try the ice cream. Don't leave there without it. 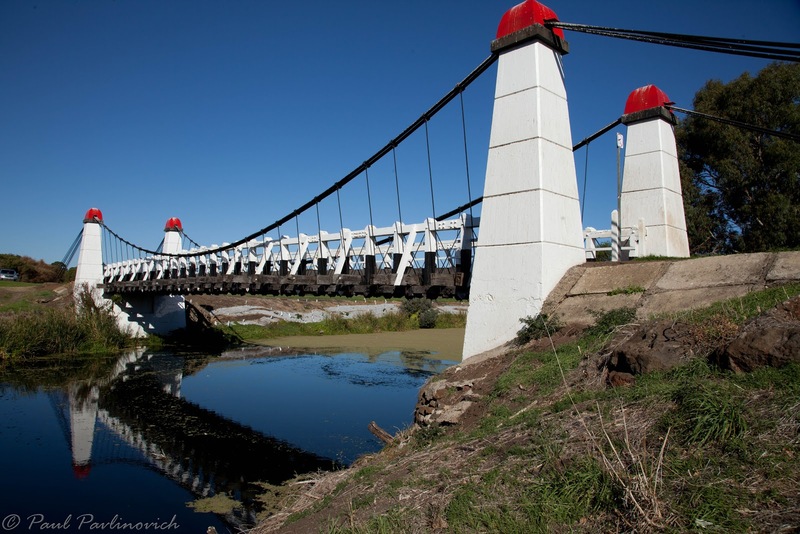 There is amazing history in Warrnambool such as this historic bridge. Make sure you search around because it's well worth a visit. 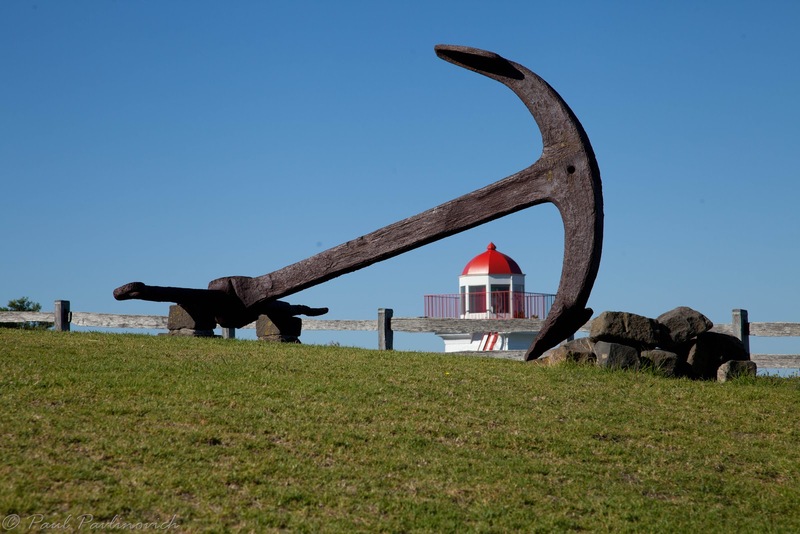 While you are in Warrnambool a visit to Flagstaff Hill is just about mandatory. 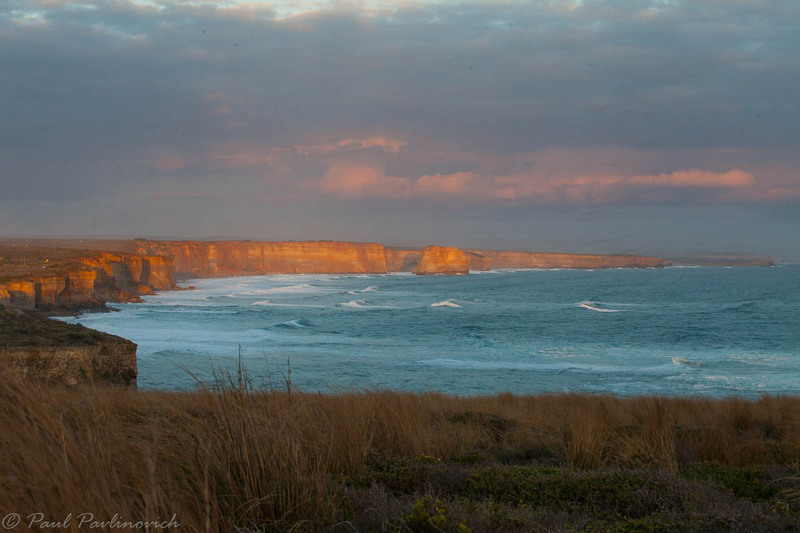 The site conveys Warrnambool of old as a martime port village complete with the Upper Lady Bay and Lady Bay light houses within its grounds. The Upper Lady Bay lighthouse is open for inspection. Both lighthouses are operational. The village abounds with photographic opportunities and various other attractions. Food and drink are reasonably priced inside. They have a night time entertainment show naturally themed on the ship wreck of the Loch Ard. 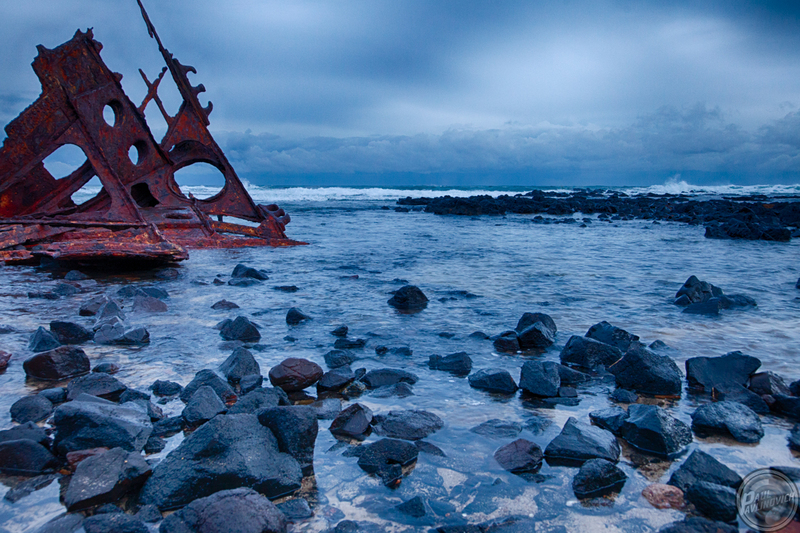 Port Fairy is old school and revels in its history. Much of the town is carefully groomed to maintain the heritage look and feel. Portland is an industrial city that has had its share of set backs but continues to exist and offer interest to the traveller. Wandering around the island that the light house calls home is awesome at night time yielding some wonderful images. In Portland I stay on top of the hill, again near the light house. The tram car service can take you around the town and is well worth the ride. The tram is made up of original Melbourne cable tram dolly and trailers that today are powered by diesel engines. The operators are very friendly and they have a small tramway museum. They're not all that friendly to visitors in the workshop which surprised me given I work on another tourist railway. Portland has all the usual coastal attractions of scenery and wildlife and also boasts the giant aluminium smelter and it's surround infrastructure. 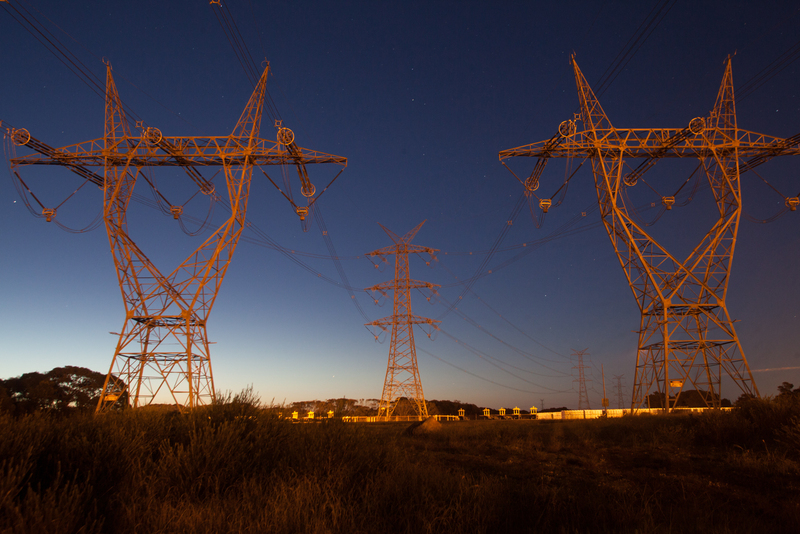 These giant transformer robot like towers provide the incoming electricity to the plant. The golden blocks on the ground are the ingots of smelted aluminium. There are plant tours from time to time but they were not operating last time I was there so check ahead. Certainly worth a look. Last time I was there the dogs were not present and the fences did not reach the beach so close access was easy without disturbing the birds. The Great Ocean Road stops officially at Portland but in reality keeps going along the Great Australian Bight into South Australia towards Adelaide. So you're buying a second hand lens - what to look for? When you are buying a second hand lens, it's always a nervous business. Since there is no warranty available it's important to test the lens before you hand over the money. Anyone that won't let you do this is a loser with something to hide. Walk away. Note this is not how to review a lens - this is only scoped to a quick test before you walk away with your new glass. There are common problems to all lenses to look for: look for dings and scratches in the casing that might indicate it has been dropped smooth movement of focus ring both manually and automatically aperture can be set (either manually or auto depending on lens) at all zooms look through the lens off camera at its widest aperture and check for no fogging inside no fungus no scratches on the camera end (other end doesn't matter much) It can be helpful to know which parts should and should not move. If the lens is supposed to be water resistant check that it's gaskets and seals are intact. Give it a shake too - nothing should rattle - unless it is stabilised - that mechanism might make a small rattle noise depending on lens brand (e.g. I know Canon IS lenses do).﻿ I suppose it would be better to listen for loose things that rattle and roll around when you turn the lens end for end and around. The source of a bad rattle would move the IS rattle would always be in the same place.﻿ Get familiar with the characteristics using a reliable impartial site like dpreview.com Test the lens on your body at all focal lengths and apertures. You don't have time to check on computer so use zoom on your camera display. I look mostly for focus and bright spot problems that could be light leakage. Particularly try and shoot into a bright area as this will help show up any dark fringing around the edges of the image. In a discussion about creating deliberate slow exposure the discussion got around to ISO. I put in this answer (slightly edited for here) and I thought my answer might be useful more widely so hence this post. ISO is the measure of sensitivity of the sensor in your camera. The lower the ISO the better the quality of the image. In old school photography with film (aka classic) we were taught the relationship between shutter and aperture but rarely discussed ISO because we couldn't change it (except with advanced dark room techniques). Today we need to think of shutter aperture and ISO as part of a balanced triangle because we can change the ISO whenever we want. When you change one of the tips of the triangle it affects the other tips and your image. The higher the ISO the less light you need to activate the sensor to create an image but the more noise (unattractive colour or brightness changes from pixel to pixel). If you need a faster shutter to stop the action and have a sharp image at an acceptable depth of field then the only element you can change to achieve that is the ISO. 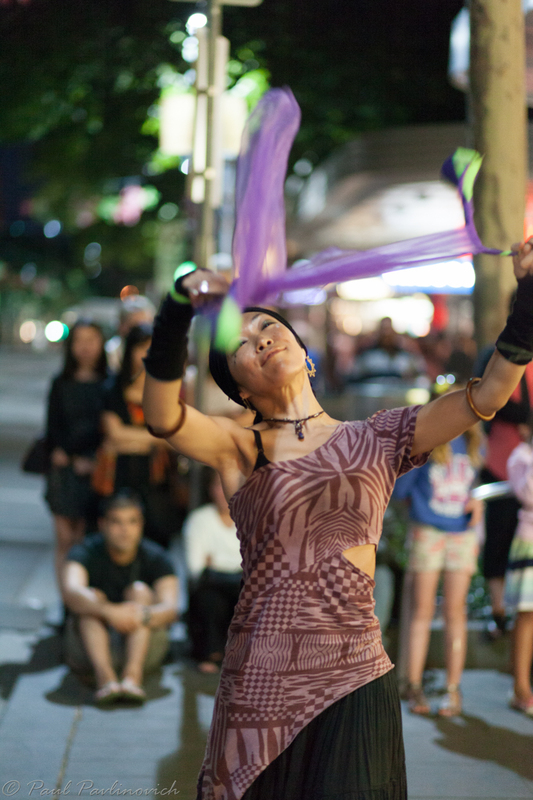 As an example, during the some street photography I was photographing a dancer at night, I wanted sharp, she was moving quickly and I wanted a short dof - I wanted to see the crowd watching her but I wanted attention on her. I didn't mind a bit of noise and I didn't want to distract her with flash. I needed at least 1/20th to hand hold with acceptable sharpness and I wanted f/1.8 for very low depth of field. I changed the ISO until my light meter indicated an acceptable exposure at ISO of 500 and took the shot. Well a series, never rely on just one! Between the first few I checked my outcome and made minor adjustments. I was actually very lucky with this. 1/20th is nowhere near what I usually need for a hand held with sharp results - as a general rule of thumb for my and my shaky hands I double the focal length so in this case I should use 170 - I braced my body against a light pole to minimise my movement.